Torrid recognized this and created a women’s plus size fashion line inspired by fashion icons, runway shows, music and pop culture. If you have concerns, please contact customer service at 1-866-386-0889, 8:00 AM to 8:00 PM EST, seven days a week or email. 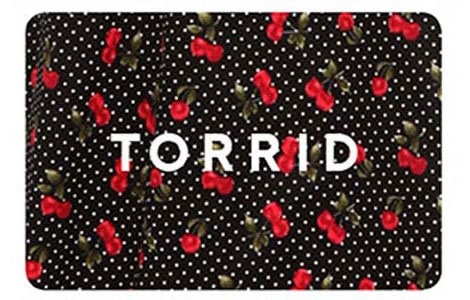 You may redeem this eGift Card at any Torrid location or online. This card is not redeemable for cash.